With every year comes a new batch of celebrity hair inspiration, and 2017 is no exception. There are a million and one ways to work a braid into your hair, regardless of texture or length. And if this year’s red carpets are any indication, it’s nearly impossible to get bored with the options. We’ve watched some of our favorite A-listers experiment with their most daring styles to date, and more often than not, the risk has paid off. From the more extreme waist-length braids to old-school classics like the French or milkmaid braid, these are the looks that not only ruled 2017 but will probably inspire our 2018 hair goals too. At this year’s Vanity Fair Oscar party, the actor looked radiant in platinum blond micro-braids. 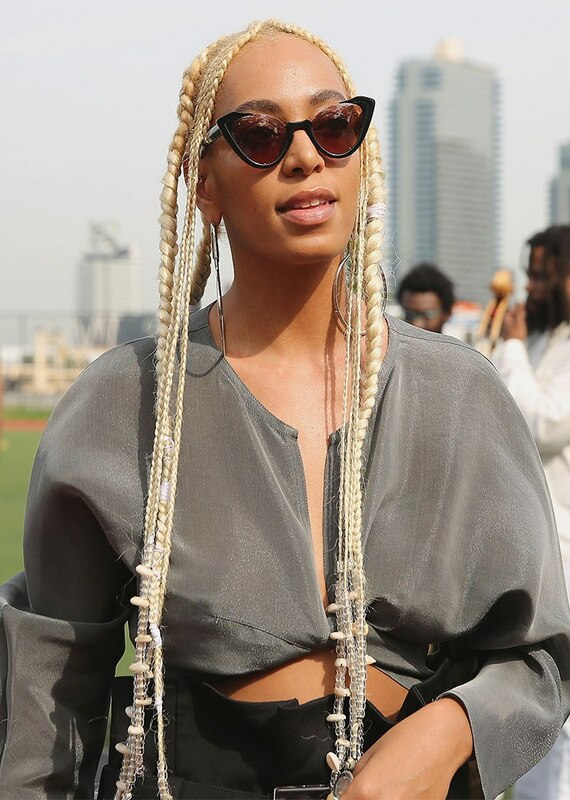 In September 2017, the singer traded in her signature curls for these technicolor box braids. In March 2017, the model and actor styled her platinum bob into a side braid while perusing Paris Fashion Week. 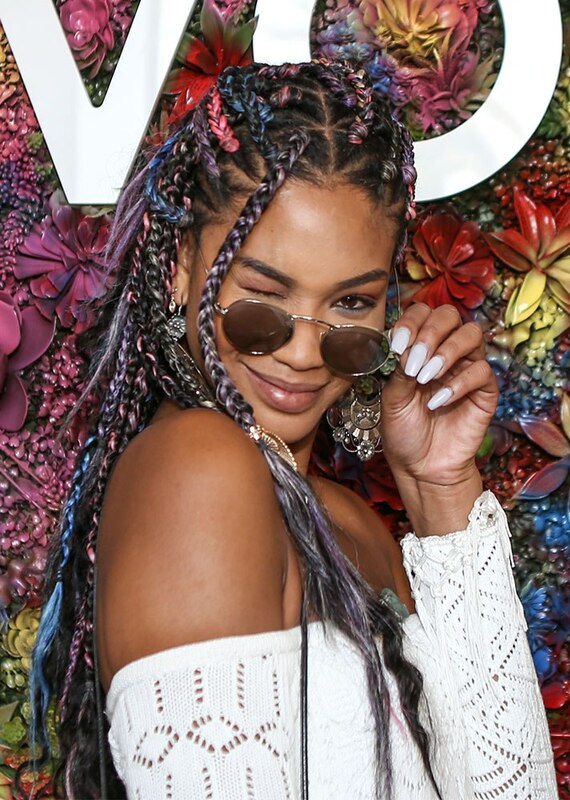 The supermodel embodied the spirit of Coachella when she wore these rainbow braids to the annual music fest. In May, the actor’s teal braid stole the show during a Westworld panel. 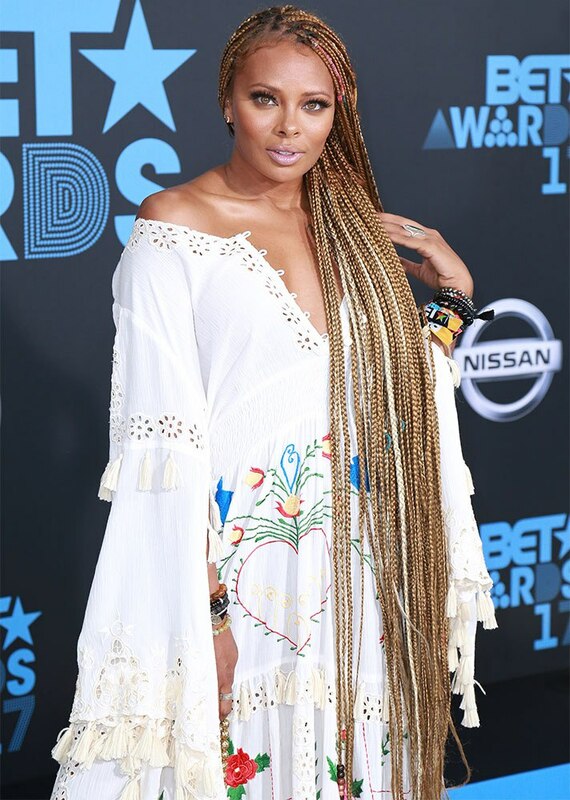 In June, the model and America’s Next Top Model winner’s floor-swept braids won the BET Awards red carpet. For the June 2017 Hollywood premiere of Spider-Man: Homecoming, the beauty expert fashioned her blond strands into a chic fishtail braid. In September, the Oscar winner stepped out in this beautiful braided ponytail at the Toronto Film Festival. The supermodel opted for a ponytail with braided details while promoting her Tommy x Gigi fashion line during Paris Fashion Week’s Spring 2018 season. In June, the actor looked anything but insecure in this intricate updo at the BET Awards. 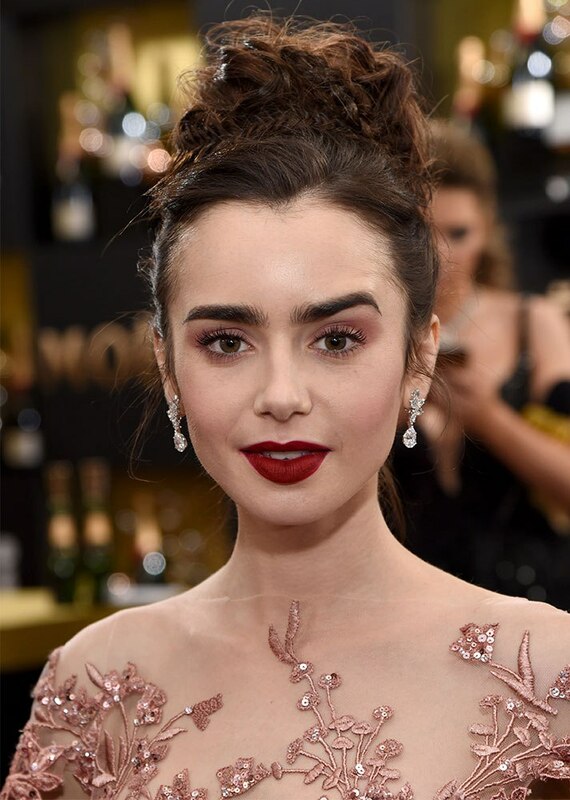 The To the Bone star hid a tiny braid inside her regal updo for the Golden Globe Awards. 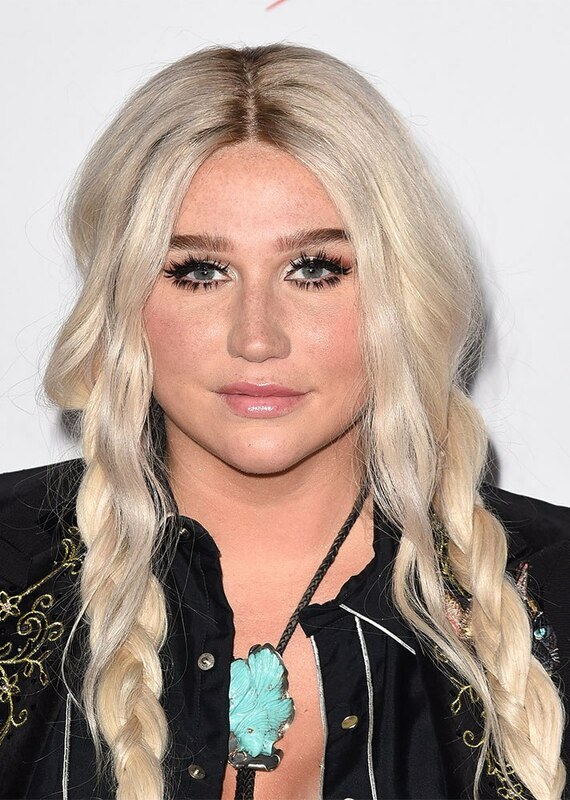 In April, the singer wore waist-length box braids to the Daily Front Row‘s Fashion Los Angeles Awards. The actor’s braided updo was a perfect choice for the annual Academy Awards. 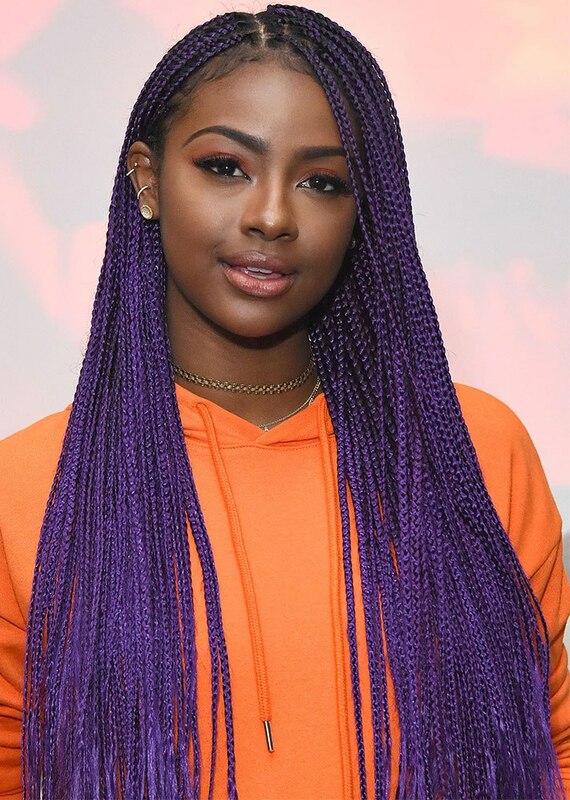 In March, the self-professed “purple unicorn” celebrated her Forever 21 collaboration in vibrant purple braids. For the February premiere of The Lost City of Z, Miller spiced up her half-up, half-down style with teeny cornrows. 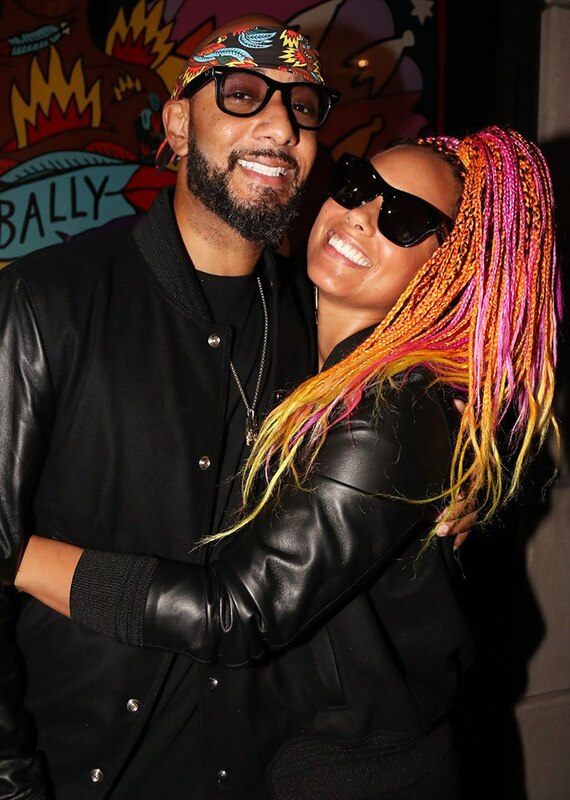 In February, the actor and singer looked red hot in jumbo braids. The redheaded actor fashioned a braid into her wispy updo for the Cannes Film Festival premiere of Wonderstruck. In January, the Orange Is the New Black star celebrated the SAG Awards in this picture-perfect fishtail braid. In September, the singer looked effortless in classic pigtails for the iHeartRadio Music Festival. 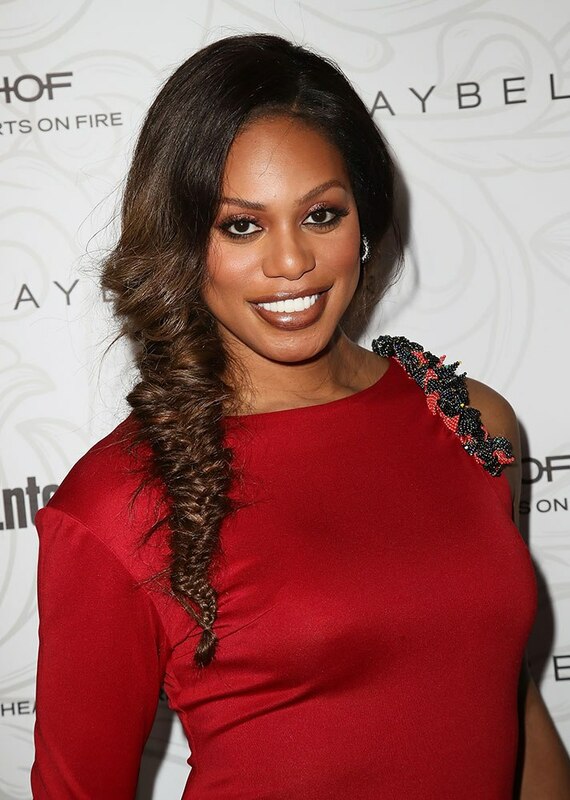 The supermodel served jumbo braid goals at the CFDA Awards. The rapper kicked off the New Year in teeny waist-length braids styled into a high side ponytail. 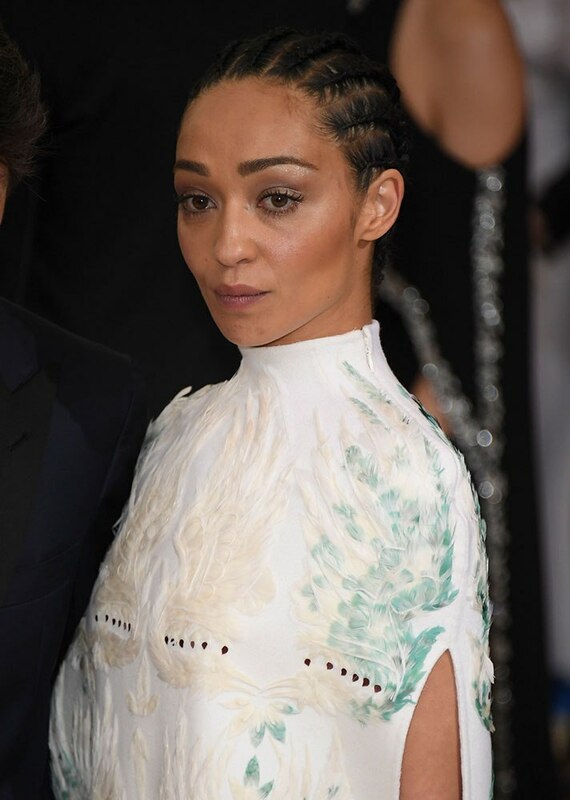 For this year’s Met Gala, the Loving actor slayed the red carpet in straight-back cornrows. 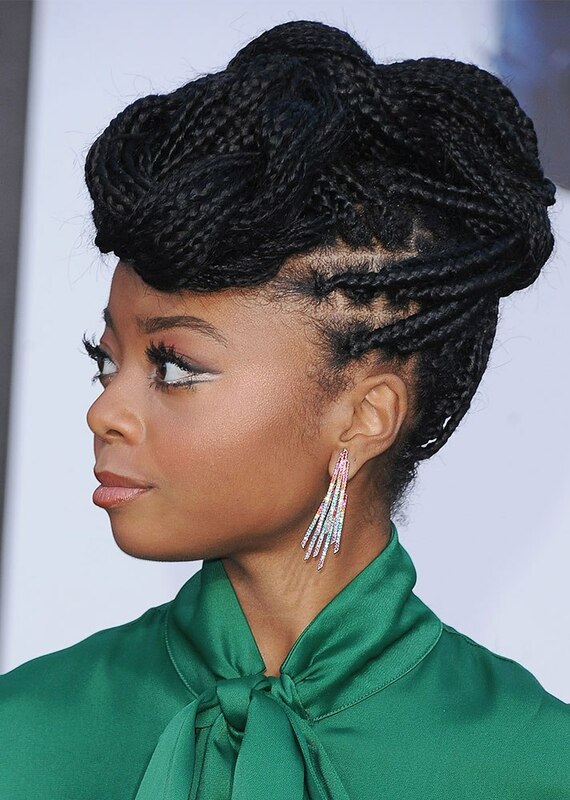 In April, the Empire star hit the red carpet in wavy box braids, which she styled into a high ponytail. The Disney star looked all grown up in a braided updo for the March premiere of Power Rangers. 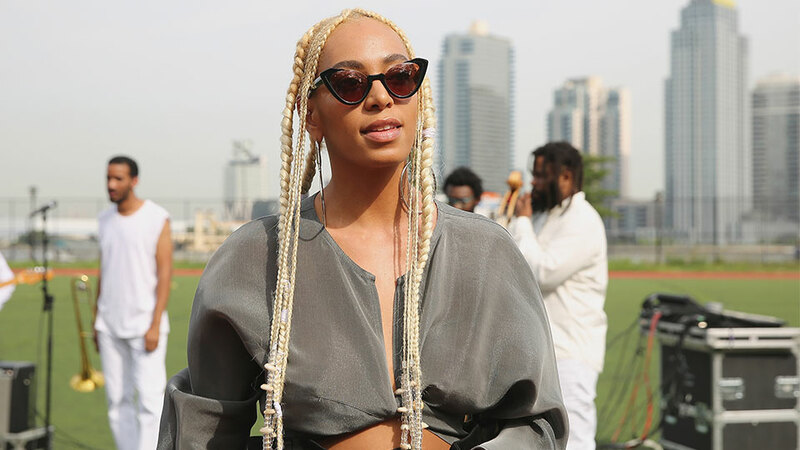 The “Cranes in the Sky” singer shut down New York Fashion Week’s Spring 2018 season in platinum blond braids. 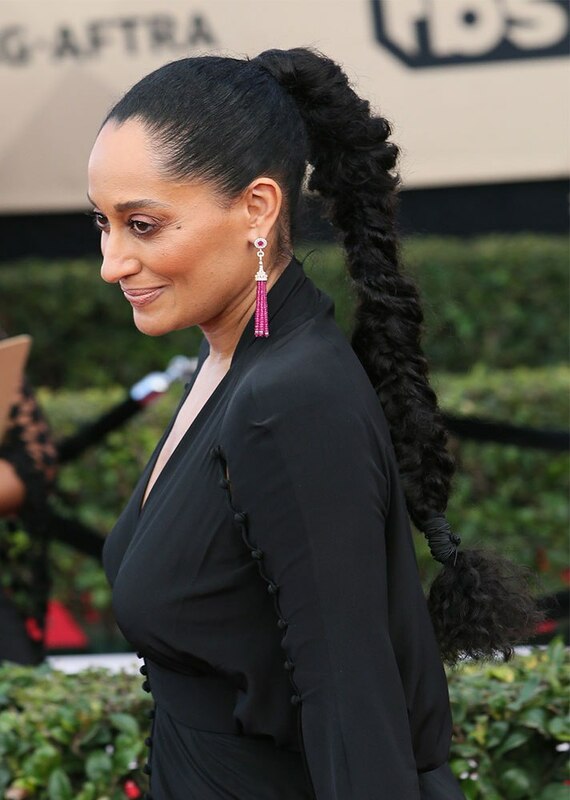 For the SAG Awards, Ross posed for cameras in a lengthy mermaid braid. 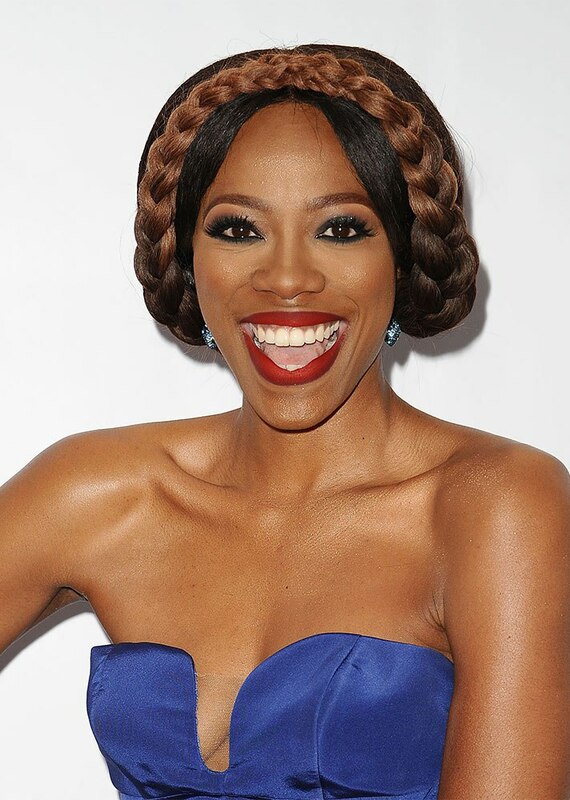 The Insecure star beamed in a milkmaid braid for the NAACP Image Awards. In May, the supermodel posed in a braided ‘do on the Cannes Film Festival red carpet. The model remixed the topknot with this fishtail variation on the Cannes Film Festival red carpet.